The above calendar is based on the keeping of the Uposatha on the Ashtami, chaturdashi, and full and new moon days. The Uposatha in Buddha Dharma are generally days in which the lay followers (and of course the Monks and Nuns) can intensify their practices. The lay followers generally take the Eight Precepts and meditate. Usually, what is the Uposatha that is observed on the 8th, 14th and 15th days called? It is called the pakkha-uposatha. This is the Uposatha generally mentioned in the Jatakas. What is recited when requesting and undertaking the Uposatha sila? buddham saranam gacchami — To the Buddha I go for refuge. dhammam saranam gacchami — To the Dhamma I go for refuge. sangham saranam gacchami — To the Sangha I go for refuge. I request the training rule to refrain from the taking of life as well as from ordering others to kill. I request the training rule to refrain from stealing as well as from ordering others to steal. I request the training rule to refrain from unchaste behavior, which is an obstacle to the Brahma-faring. I request the training rule to refrain from false speech. I request the training rule to refrain from taking distilled and fermented intoxicants, which cause carelessness. I request the training rule to refrain from eating in the wrong time, the wrong time being between noon and the following dawn. nacca-gita-vadita-visuka-dassana mala-gandha-vilepana-dharana-mandana-vibhusanatthana veramani sikkha- padam samadiyami. I request the training rule to refrain from dancing, singing, music and going to see entertainments, which are stumbling blocks to wholesomeness; and to refrain from wearing garlands, using perfumes and beautifying the body with cosmetics. I request the training rule to refrain from sitting or lying down on seats or beds with legs over the limit and on large seats or beds, and from using intricate or detailed bed coverings. imam atthamgasamaññagatam buddhapaññattam uposatham imañca rattim imañca divasam sammadeva abhirakkhitum samadiyami. The Uposatha which was laid down by the Buddha and consists of the eight sila has been determined by me — I will keep it well for one full day and night. The assembed lay people answer: "ama bhante." This is the end of requesting the precepts. The laity should pay respect to the bhikkhu by bowing. What are the different categories of observance? The times for keeping the pakati-uposatha are the 5th, 8th, 14th and 15th of the waxing moon and the 5th, 8th, 14th and 15th of the waning moon. The times for keeping the pati-jagara-uposatha are the five days of the waxing moon, i.e., the 4th, 6th, 7th, 9th, and the 13th, and the six days of the waning moon: the 1st, 4th, 6th, 7th, 9th, and 12th or 13th. That makes eleven days in a month for the observance of this type of Uposatha. During a (partial) solar eclipse the effects of positive and negative actions are multiplied by 10,000 according to the Khandro site, 100 million times according to Lama Zopa Rinpoche. During (partial) lunar eclipse, the factor is 7 million according to Lama Zopa Rinpoche, practices like taking the Eight Mahayana Precepts are thus strongly advised. Medicine Buddha day: the 8th of every month (Lama Zopa Rinpoche also advises Tara or Mahakala puja). 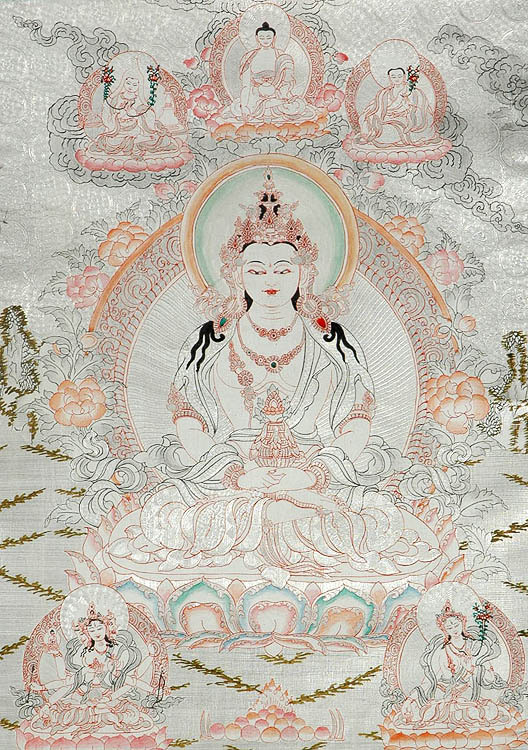 Dakini's day: the 25th of every month is related to the "Mother tantras" and tsog is performed by everyone who has received a Highest Yoga Tantra initiation. Dharmapala's day (Dharma Protectors): the 29th of every month is a special day for Protector practice. Sojong: on 14 or 15th and 29th or 30th, confession practice for monks and nuns. "There are these five gifts, five great gifts — original, long-standing, traditional, ancient, unadulterated, unadulterated from the beginning — that are not open to suspicion, will never be open to suspicion, and are unfaulted by knowledgeable contemplatives & priests. Which five? "Furthermore, abandoning the use of intoxicants, the disciple of the noble ones abstains from taking intoxicants. In doing so, he gives freedom from danger, freedom from animosity, freedom from oppression to limitless numbers of beings. In giving freedom from danger, freedom from animosity, freedom from oppression to limitless numbers of beings, he gains a share in limitless freedom from danger, freedom from animosity, and freedom from oppression. This is the fifth gift, the fifth great gift — original, long-standing, traditional, ancient, unadulterated, unadulterated from the beginning — that is not open to suspicion, will never be open to suspicion, and is unfaulted by knowledgeable contemplatives & priests. And this is the eighth reward of merit, reward of skillfulness, nourishment of happiness, celestial, resulting in happiness, leading to heaven, leading to what is desirable, pleasurable, & appealing; to welfare & to happiness."